Your card is so darling and I love the colors of your smooched background. Awwwww ... just ADORABLE!!! 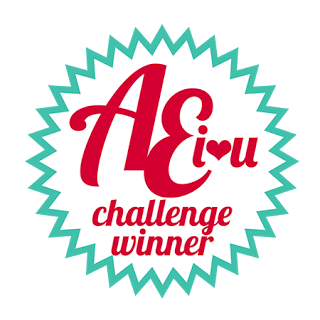 Thanks so much for playing in our Alphabet Challenge! Good Luck and please come back next month! Oh... Maike, noch so ein zuckersüßes Kärtchen, tolle Farben und knuffige Tierchen. Such a cute card! Love your cute little critters! Thank you for playing in my Animal challenge at the Alphabet Challenge and hope you can join us again soon. 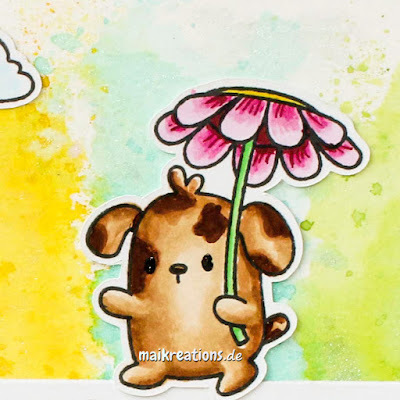 Totally adorable card, Maika! 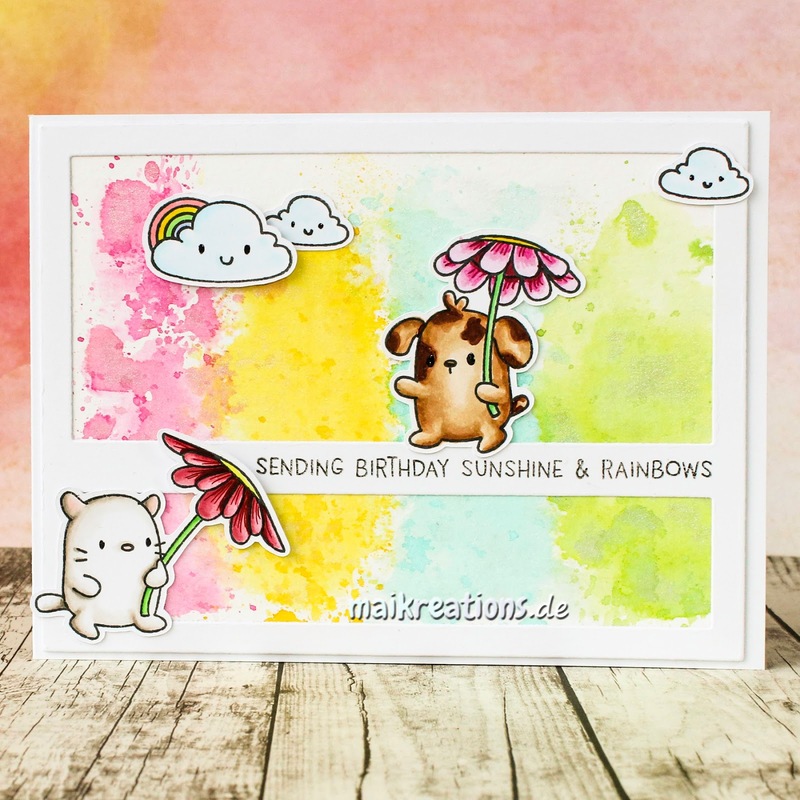 Love the rainbow ink smooched background, and critters look totally cute! What a wonderful spring birthday card! 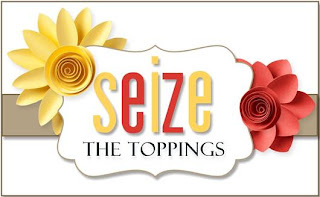 Thank you so much for joining us at the Seize the Birthday challenge! 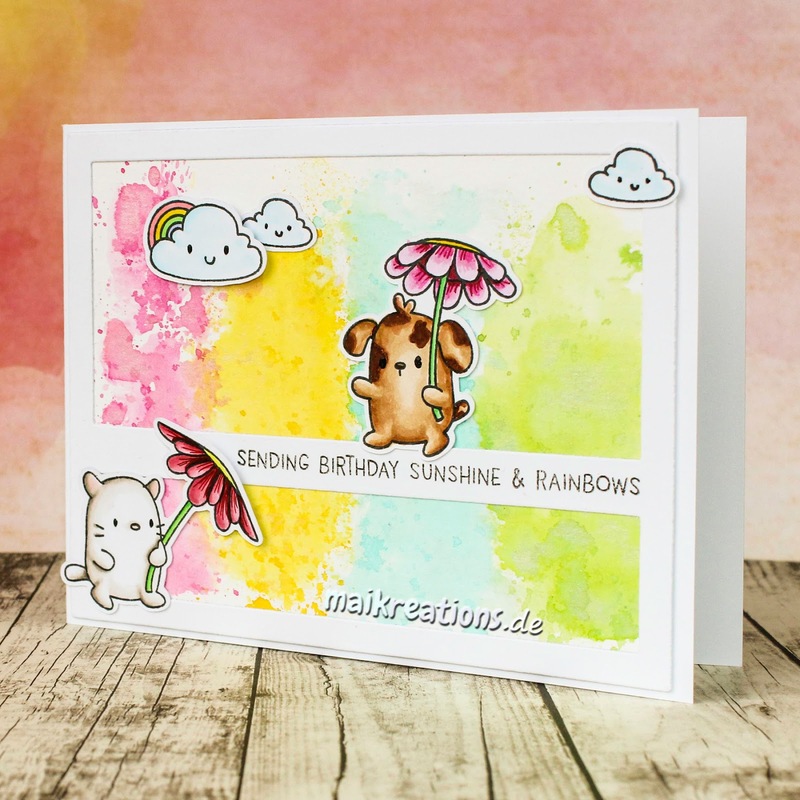 Gorgeous card Maike! I love the pretty background you've created and the images are adorable. Noch so ein Kärtchen, das gleich froh und glücklich macht! 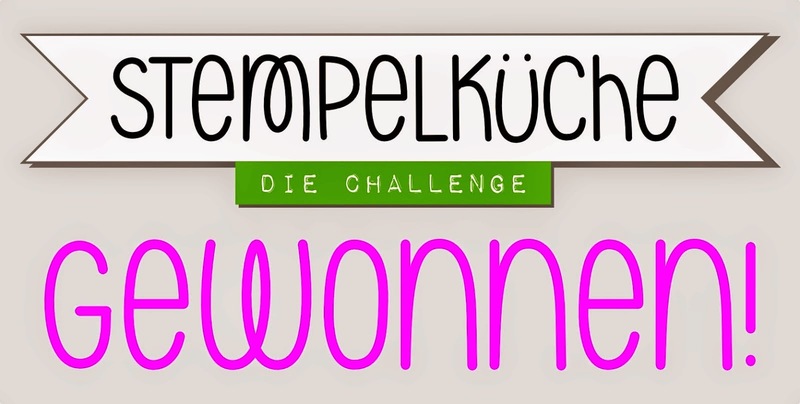 Vielen Dank für die Teilnahme an der Sweet Stampers Challenge!